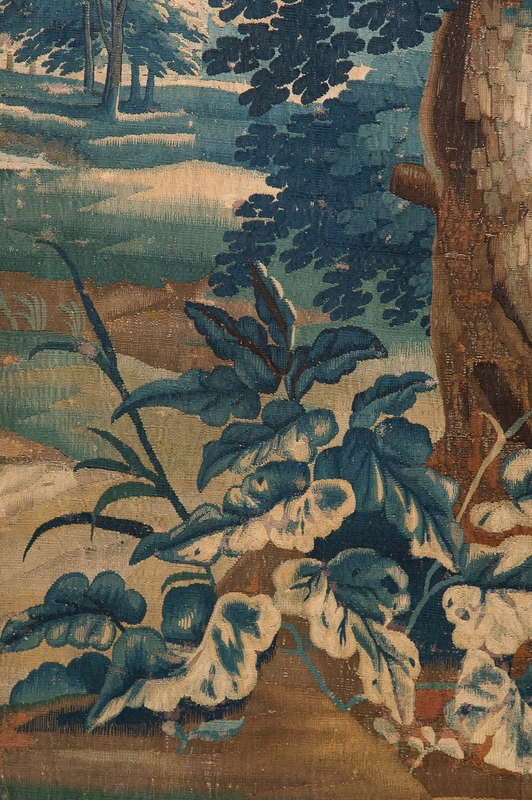 Flemish “verdure bleue” or blue verdure tapestry, late 17th century. 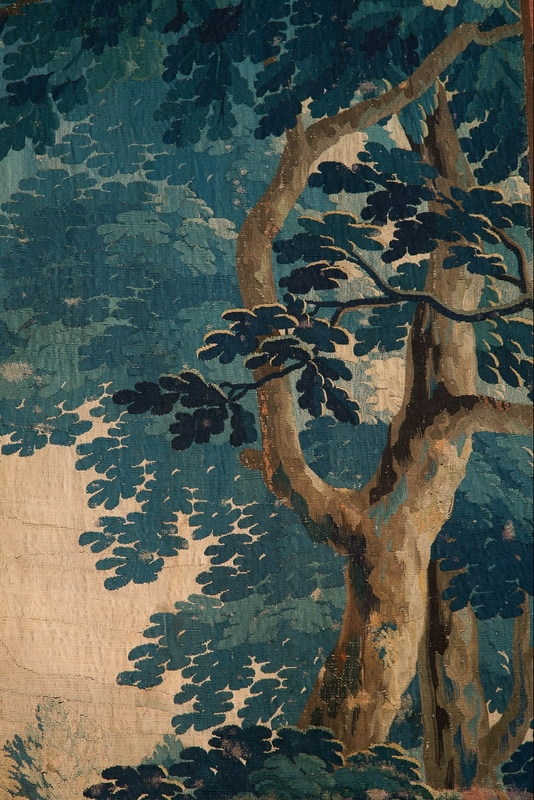 Portrait shaped tapestry with trees and plants to the foreground and a chateau on a hill in the background with a waterfall and a river, surrounded by a floral border.The colours are fresh and the various shades of blues are particularly striking, finely woven in wool and silk circa 1690. 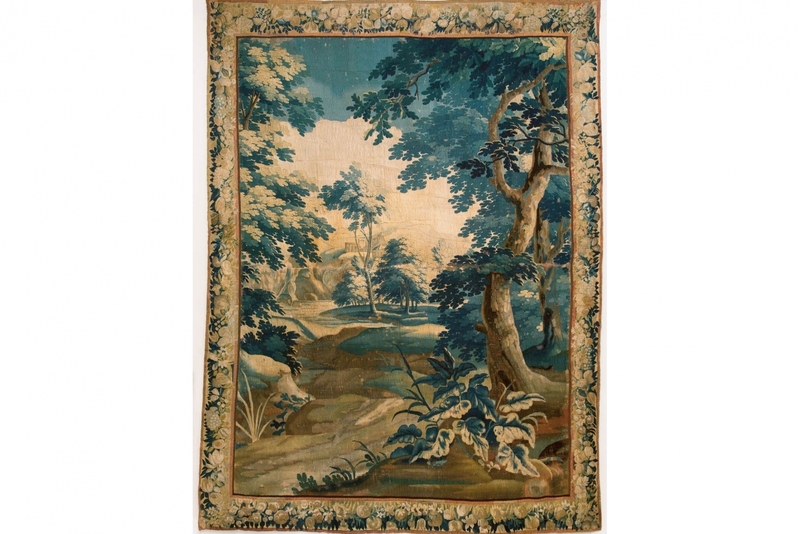 During the 17th century or Baroque period a large market was evolving for landscapes often with dramaticoversized plants,often framed in elaborate Baroque tsyle borders with fruit and flowers. 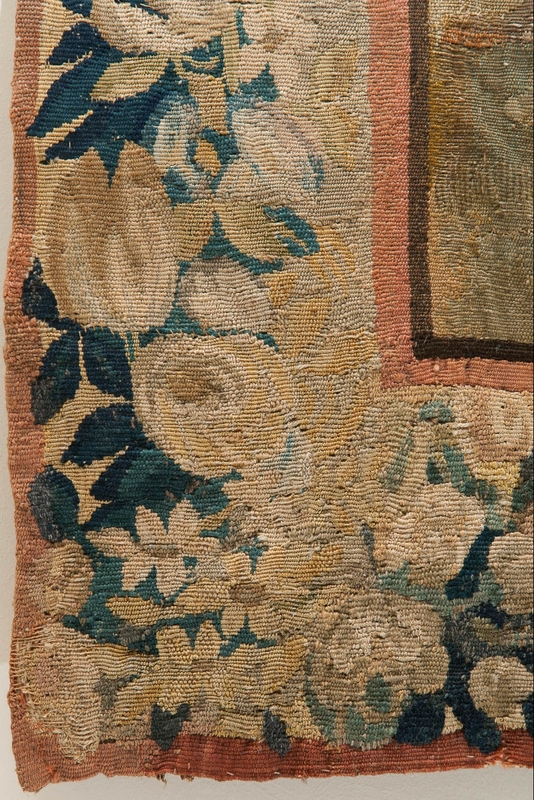 Condition: There are patches of old restoration where the colour is inconsistent with the main tapestry and there is a horizontal line running across of a paler colour. 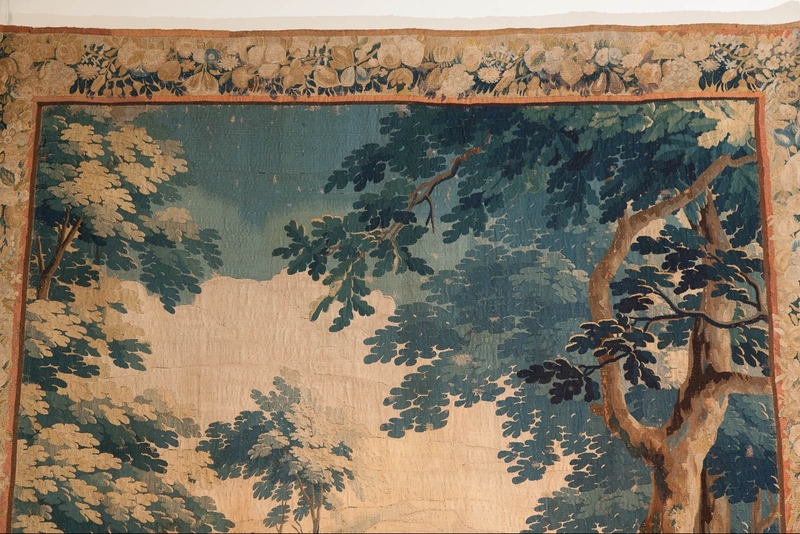 The piece has been recently cleaned and backed with Belgian linen.It is ready to hang. 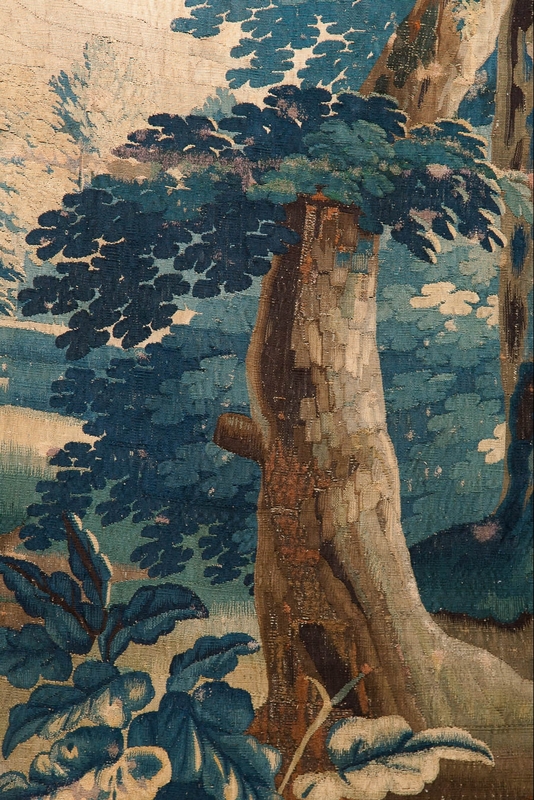 H. 268 W. 197 D. 1 cm. H. 106 W. 78 D. 0 in.